Let Karen show you the 'easy' way to paper piece! Once you learn the freezer paper piecing method, you will never go back to regular paper piecing! 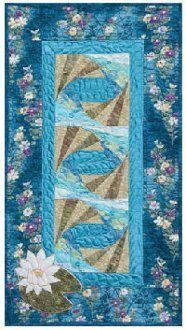 In this class you will stitch a beautiful runner, which will make a wonderful gift or addition to your own table.